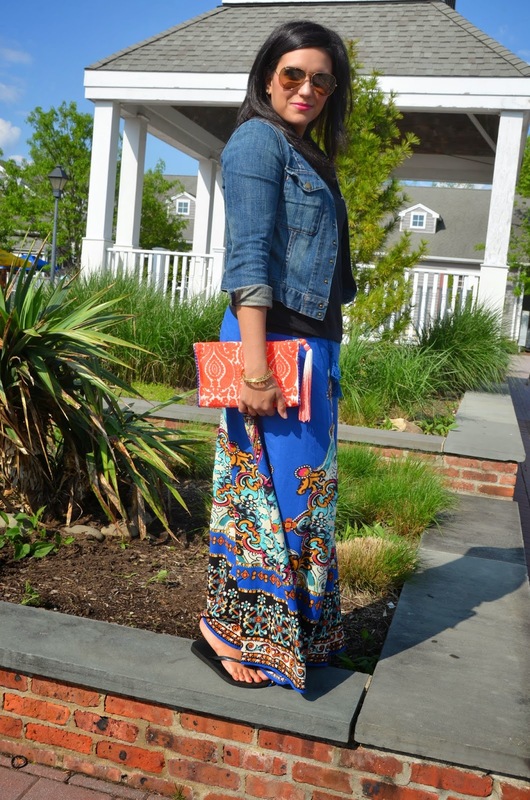 Oh, how I love a good maxi! 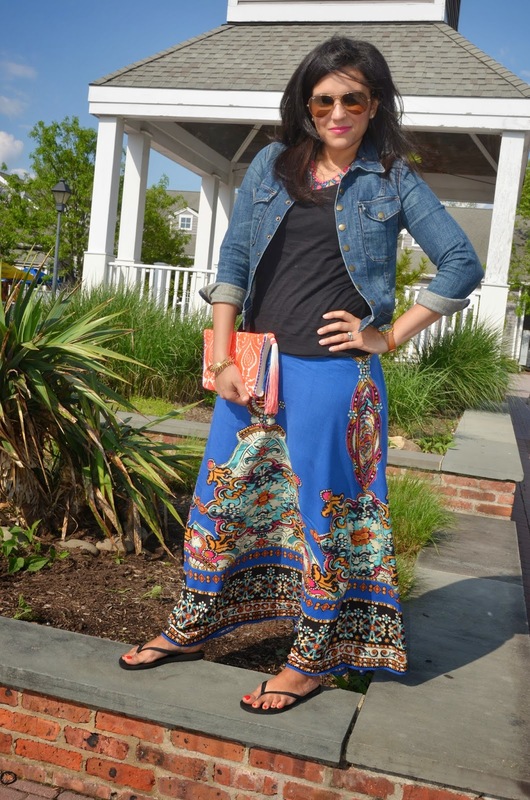 Maxi skirts and even dresses are my absolute favorite go-to pieces in the spring and summer. They are so lightweight and can be dressed up or down. 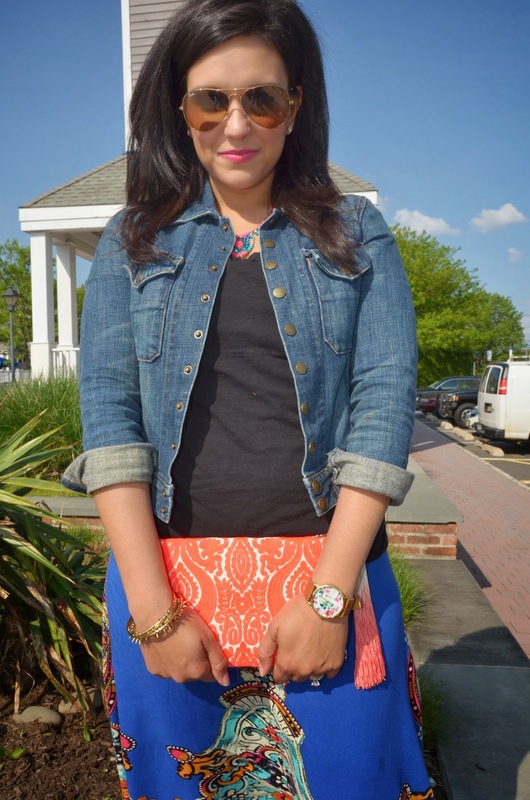 I found this skirt at T.J. Maxx recently and fell in love with the color, the print and the price...it was $16.99! I wore this to a friend's casual backyard BBQ party recently, and decided to keep it simple with a black t-shirt, a denim jacket, and then I added some fun colorful accessories. What are some of your favorite wardrobe go-to pieces for spring and summer?